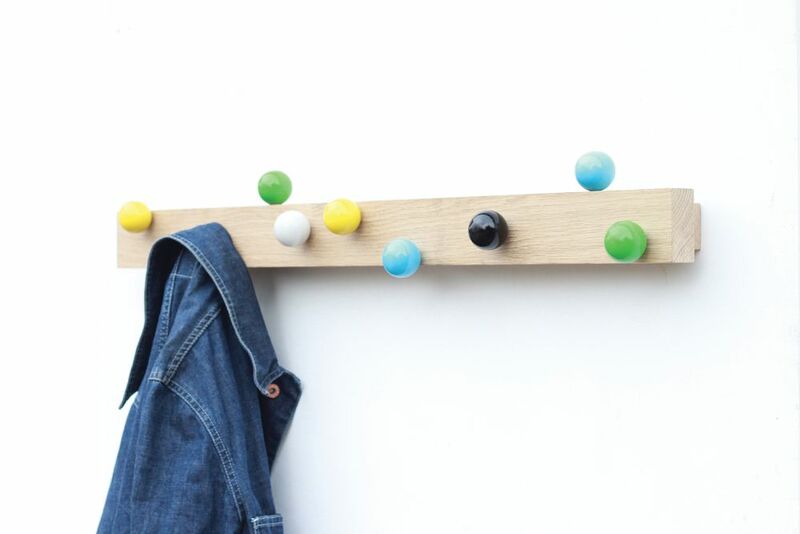 This striking multi-hook makes a nod to Eames as glossy coloured spheres seem to magnetically skate along a length of solid oak timber. Perfect for hanging collections of coats and bags. Hand made from hardwoods this coat rack is available in different lengths.